COMBINED world hospitality enterprises account for nine per cent of world GDP, or approximately 260 million jobs. Accessing a tourism and hospitality career path has generally been an easy one due to the high staff demand around the globe. This situation remains and staff shortages in these industries remain a major headache for this industry sector. This is bad news for employers, but good news for hospitality graduates. New international hotels, resorts, spas and themed restaurants continue to open regardless of world economical health, offering a wealth of employment opportunities. However the real demands in developing economies are for lead personnel with high executive skills, knowledge based systems, chain hotel relationships and an expanding capacity to manage large staff numbers on the upward end of service delivery. Having a good command of the English language will be advantageous. With the rise of China’s inbound and outbound tourism, opportunities abound for those who are proficient in both English and Mandarin. Malaysia has some of the best private colleges and universities for hotel management & tourism courses. Students can get excellent training from these institutions at an affordable price. However, it is important to choose the right university in Malaysia with the necessary experience and facilities. That demand can be further quantified. According to the World Travel and Tourism Council, there’s no end in sight. Experts predict that the travel and tourism industry’s contribution to GDP will increase by 4% every year for the time being. That equates 69 million new jobs created over the next decade. Such demand will also place pressure on education institutions where a tightening of resources post-GFC has seen the sector now faced with widening and greatly emphasised demands. A strong and healthy educational environment now exists between private and government-led learning institutions, and the diversity of career pathways has drawn more intensification of their strategies to meet existing demand. Of note is the evolution of five and a half star and six star resorts and hotels which demand special levels of management to oversee higher level services. More of these new-styled tourist investments will be erected in developing and tiger-economies with expanding domestic middle class needs. intercontinentally. Remember that the general manager role is not the only destination career in hospitality, and that most enterprises seek high level employment in public relations, sales and marketing, financial and profitability control, property engineering, and soon social media. So in choosing the best tourism and hospitality school in Malaysia that fits you, take careful consideration of the speciality streams which are offered, and make comparison with existing competitor organisations with equivalent international standings. It is important to choose colleges or universities with experience and ample facilities to train you so that you can succeed in your future career. There is a wide range of food and beverage director salary packages available from the basic US$50k in standard hotels through to US$200k for an experienced hospitality strategist in a leading consulting firm. Of greater importance to graduates who wish to travel, your experience and status is portable from country to country, particularly if you have mastered a second or third language apart from English or are employed by global hotel chains. The demand for well trained hospitality professionals will continue to increase in Malaysia as well as globally. Students after SPM, O-Levels, UEC, A-Levels or STPM must choose the best universities in Malaysia for hotel management to obtain their training so that they can be successful in the competitive hotel & tourism industry. Students after SPM or O-Levels who are sure that they want a career in the vibrant hotel industry can choose to study the Diploma in Hotel Management at top private universities and colleges in Malaysia. Students will need at least 3 credits in SPM or O-Levels to join the 2-year diploma. Upon completion of the Diploma, students can continue on to the Tourism Management, Hospitality Management or Hotel Management Degree entering into Year 2 for another 2 years. Premier private universities in Malaysia for Tourism Management degree courses are KDU Penang University College, Taylor’s University Lakeside Campus, KDU University College Utropolis Glenmarie, UCSI University Sarawak, Asia Pacific University, Curtin University Sarawak, HELP University & Reliance College Kuala Lumpur. The global hospitality, tourism and culinary arts industries are dynamic and constantly evolving. It is among the world’s largest and fastest growing industries, offering boundless opportunities for ambitious students who enjoy working with people and in a range of exciting environments, be it locally or internationally. At KDU, students will find the blend of true hospitality, tourism and culinary subjects taught in specialised facilities that mirror state-of-the-art, real world environments. Our range of programmes ensure that students emerge as excellent, well-rounded graduates, armed with a combination of knowledge and skills that are in high demand with employers. to ensure our students learn from the best. KDU is the only institution to offer molecular cooking as a compulsory subject in our culinary programmes, in addition to launching the first-ever culinary book that applies molecular cooking techniques in Malaysian recipes. KDU is also no stranger to the competitive culinary scene, with lecturers and students excelling in competitions both locally and internationally. KDU is also internationally recognised, garnering the World Association of Chefs Societies (WACS) Recognition of Quality Culinary Education as well as accreditation from The International Centre of Excellence in Tourism and Hospitality Education (THE-ICE) as an Associate Member. Upon graduation, our students are employed in renowned hotels and service related industries, with 30% obtaining employment overseas. Our programmes are taught by the best in the industry with more than 50% of our curriculum emphasising hands-on practice In addition, our Industry Advisory Board is made up of top-tier management from the industry. 13 kitchens cover 65,000sf with ample space for niche studies in molecular gastronomy, wine, chocolate and coffee, and charcuterie. There are also realistic mock hospitality training facilities, as well as student-run restaurants. Students at degree level have the option of participating in a 2-week resident programme at IMI University Centre (Switzerland), as well as a student-exchange programme in France at local fee. 1987, and with over 27 years of history, the school is the only Hospitality, Tourism & Culinary Arts School in Malaysia that offers a complete Swiss experience through its collaboration with IMI University Centre switzerland. Its partnership with the IMI University Centre Switzerland enables the school to offer IMI programmes in Malaysia, without students having to go abroad. One of the unique features of the KDU-IMI programmes is the exposure to industry placement in reputable local or international hotels and restaurants where practical skills are enhanced in real life-situations. IMI University Centre Switzerland is a unique, private, International Management Institute founded in 1991. Students at IMI can be assured of a highly personalised and individual approach to their learning. A qualification from IMI is a stamp of excellence on any curriculum vitae and will ensure that students are top of the pile for first important interviews. IMI University Centre Switzerland and KDU University College has definitely come a long way, combining quality academic teaching, practical training, excellent industry placements, and international exposure, all a recipe for success. been designed around the philosophy that learning is experiential and can happen anywhere. With industry standard mock-up suites, coffee labs and dining outlets, including a fine dining restaurant, students are able to experience their future working environments while being on campus. Equatorial Mock Suite- Industry standard mock suites for realistic hands-on training. Café 8ighty 7even by Coffex – Of cosy settings and freshly brewed coffee steaming in the air by the hands of our versatile students. Atelier – Hot Kitchen – Students get into action in the hot kitchen, giving them a taste of life in the industry. Avant – Molecular Kitchen – At Avant, students utilise the latest equipment in learning the art of molecular cooking. Charcuterie – Butchery Kitchen – At Charcuterie, students learn and master the techniques and skills to create various deli products. Mirabelle – Training Restaurant – At Mirabelle, students run everything from scratch while serving real customers and countering real-time situations. 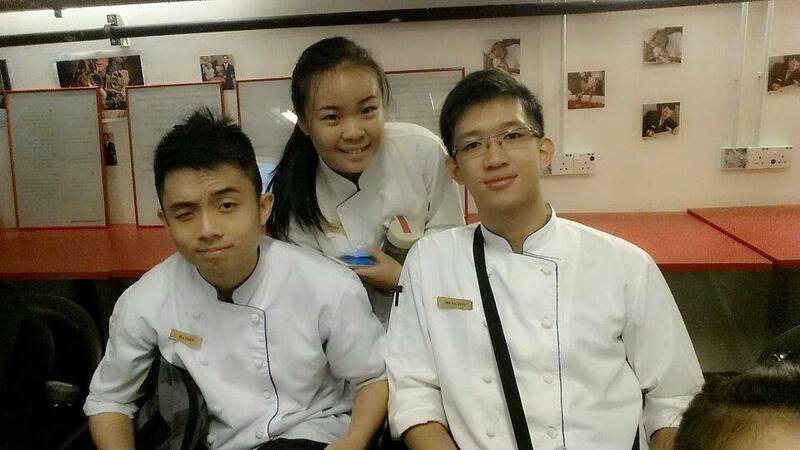 Saveur – Training Restaurant – Built to mimic a true fine dining restaurant, students are given real practice at Saveur. Artisanat – Kitchen Artistry Room – At Artisanat, our students are trained to master the most delicate of arts. Glace – Ice Carvery – At Glace, students are taught first hand on the art of ice carving. Boulangerie – Bakery Kitchen – KDU students are synonymous with the fluffy bread and pastries they produce here at the Boulangerie. Bacchus – Wine Lab – Students are given a holistic education complemented with our state-of-the-art facilities inclusive of a wine tasting lab. Taylor’s University is the first and only university to achieve Tier 6, best quality in teaching and learning of the hospitality and tourism discipline in Malaysia. Tier 6: Outstanding rating in the Ministry of Higher Education’s Discipline-Based Rating System (D-SETARA). Taylor’s is the best university in Malaysia to study hotel management or hospitality management. Graduates from the Hospitality, Tourism and Events programmes will receive dual recognition and certification by University of Toulouse (UOT), France and Taylor’s University. Since its beginning in 1969, Taylors University has continuously provided excellent services for its students in terms of diverse study options, relevant curriculum and teaching methods, on-going partnerships with leading universities worldwide, strong industry linkages, up-to-date facilities and a well-equipped campus. Officially upgraded to University in September 2010, Taylor’s is one of Malaysia’s top private universities. Over 70% of Taylors University’s graduates are employed within 2 months. In addition, the university has strong partnerships with 3,000+ career partners in Malaysia and globally. campus — 27 acres of tropical greenery, integrated with shops and recreational venues surrounded by a 5.5 acre man-made lake — making it one of the most desired environments for students seeking a tertiary education. Taylor’s University was voted the Most Popular Private College and / or University in Malaysia for two consecutive years (2008 and 2009), and is rated ‘Tier 5: Excellent‘ by the Ministry of Higher Education (MQA SETARA 2013). Taylor’s University is also ranked as one of the Top 250 universities in Asia by QS University Rankings: Asia 2015. BERJAYA University College of Hospitality embodies his legacy of success and tenacity in preparing you for a flourishing career in the Hospitality, Tourism, Culinary and Services industries – all areas in which the Berjaya Corporation Berhad has track records for success and international acclaim. At BERJAYA University College of Hospitality, our commitment towards professional excellence focuses on ‘human development’, attention to detail in teaching and learning that are unique qualities which differentiate us from the rest. The University College has an integrated classroom-community space for students to learn and apply their knowledge and skills in real-life situations, which is what we call the BERJAYA Immersion Methodology. A significant part of this approach depends greatly on the innovative academic curriculum, delivered both inside and outside of the classrooms, which are both academic and career-focused, and is based on the ‘Learning by Doing’ principle. This approach educates our students to think critically, communicate effectively, work productively and manage professionally right from the day they start with us. attention on opportunities for quality industrial work placements for the students. The support of the Berjaya Group of Companies plays an integral part on industry placements with their local and international Hotels, Resorts and Clubs providing a platform for students to gain placement and exposures, thereby enhancing their skills and knowledge in a global environment. The students also get first priority to fill up permanent positions within the subsidiaries of the group. Since its inception in 2008, BERJAYA UCH has established strategic partnerships with recognised professional and academic institutions of higher learning from UK, USA, Australia, Europe and South Korea who are forerunners in areas of Hospitality, Culinary Arts, Tourism, Retail and Event Management. These collaborations include future developments in the areas of curriculum development, licensing of academic programmes, staff-student exchanges and research opportunities. True to our vision and commitment of inspiring lives and widening horizons, BERJAYA UCH aims to be an institution with ‘people and places’ with regional branches campuses and articulation arrangements in various parts of the world. We value engagement with education and industry partners, and the various communities we serve. We invite individuals to come as students and leave as professionals. The KDU Penang University College School of Hospitality, Tourism and Culinary Arts is one of the pioneers in the northern region in providing top hospitality and culinary arts education to young people who are keen to enter this booming industry. Since its beginning in 1995, KDU University College Penang has grown by leaps and bounds to become the first and best hospitality, tourism and culinary arts school in Penang. The success of the school swiftly brought about a partnership with the IMI University Centre (IMI) from Lucerne, Switzerland (the birth place of the hospitality industry) in 1997 and with this, KDU University College Penang quickly became the first private college to offer students the opportunity to obtain prestigious Swiss diploma and degree qualifications without having to go abroad making KDU University College Penang the best college for culinary arts and hospitality in Penang. KDU University College Penang offers scholarships to deserving students.Affordable accommodation is also provided. Students interested to register at KDU University College Penang can go to this link. Bachelor of Arts in International Hotel and Tourism Management (3+0), IMI Diploma in International Hotel and Tourism Management, KDU-IMI Diploma in Professional Chef Training and Chef Academy Italy (CAI) Executive Diploma in Professional Chef. KDU offered one-of-its-kind “campus experience” that helps unleash the true potential of its students through practical simulations, outcome-based learning and experimental learning initiatives. The programmes also provided exposure to students with industry placements in reputable 5-star local or international hotels and restaurants. Thousands of students were also given the option to transfer and to continue their studies in IMI Switzerland for a complete Swiss experience. Suite (suite room and front office), ‘Bon Appetit’ fine dining restaurant, Bar 91 and professional commercial kitchens including patisserie and butchery demo kitchens. The students are led by a dedicated professional team of lecturers and chefs who are passionate about quality and excellence. The team creates enriching and unique learning experiences for the students and this can be testified by the hundreds of chef students who have won many awards in the culinary competitions locally and internationally. Armed with a great track record in producing industry ready graduates, SHTCA is confident that it will continue to produce graduates who are competent and professional in the current hospitality, tourism and culinary arts industry and remain to be the premier hospitality school in the northern region for many years to come. Students after SPM, UEC, STPM, O-Levels or A-Levels interested to register at KDU University College Penang may go to this link. Affordable Accommodation is provided. Scholarships are available. The objective of this programme is to equip students for the demands of senior management in the tourism and hospitality industries. Focusing on the strategic business development of hospitality and tourism organisation, graduates will be put on the right path to success in an industry that offers a multitude of opportunities. The programme allows students a pathway to an honours degree upon successful completion of a dissertation. KDU College Penang is the best college in Penang for the hospitality and tourism programmes. in Switzerland. This programme offers you a choice of management or practical aspects of the hospitality industry. KDU University College Penang’s training mirrors their Swiss counterpart’s methods and curriculum; a combination of traditional Swiss hotelier with modern management techniques. Since its inception in 1995, KDU University College Penang has grown by leaps and bounds to become the first and most renowned hospitality, tourism and culinary arts school in Penang. The success of the school swiftly brought about a partnership with the IMI University Centre (IMI) from Lucerne, Switzerland (the birth place of the hospitality industry) in 1997 and with this, KDU Penang quickly became the first private college to offer students the opportunity to obtain prestigious Swiss diploma and degree qualifications without having to go abroad making KDU the best university college for culinary arts, tourism and hospitality in Penang. Based on IMI and industry feedback, the school served up popular programmes such as the IMI Bachelor of Arts in International Hotel and Tourism Management (3+0), IMI Diploma in International Hotel and Tourism Management, KDU-IMI Diploma in Professional Chef Training and Chef Academy Italy (CAI) Executive Diploma in Professional Chef. Students being briefed by KDU Penang School of Hospitality, Tourism and Culinary Arts programme leader Prakash R. Jakathesan on the art of table settings. Today, the school houses 5-star training facilities such as the KDU-Holiday Inn Hospitality Training Suite (suite room and front office), ‘Bon Appetit’ fine dining restaurant, Bar 91 and professional commercial kitchens including patisserie and butchery demo kitchens. The students are led by a dedicated professional team of lecturers and chefs who are passionate about quality and excellence. produce graduates who are competent and professional in the current hospitality, tourism and culinary arts industry and remain to be the premier hospitality school in the northern region for many years to come. Students interested to register at KDU University College Penang may go to this link. Affordable Accommodation is provided. Scholarships are available. The Malaysia Center for Tourism and Hospitality Education (MyCenTHE) is an organization aimed towards improving the quality of tourism and hospitality education through collaborative partnerships between domestic public and private sectors, referred to as clusters, to guarantee large-scale economic growth within the national industries of tourism and hospitality as part of the Malaysian Government’s economic transformation programme (ETP). In support of this national initiative, KDU University College Penang, the cluster leader under MyCenTHE will offer a Work-based Learning (WBL) under Diploma in Hotel Management. This special programme is designed to resemble an apprenticeship training programme where students will be attached to a designated hotel establishment for a period of 8 months throughout the duration of the programme. Students after SPM or O-Levels in Penang, Kedah, Alor Setar and the Northern Region in Malaysia can go for the Work-based Learning (WBL) Diploma in Hotel Management programme at KDU Penang University College. Students apply what they learn in the classroom for 6-10 months in a paid internship programme. A partnership with Hotel Equatorial Penang (five-star rated hotel) ensures students learn on the job in their industrial training programme. KDU Penang University College, the cluster leader under The Malaysia Centre for Tourism and Hospitality Education (MyCenTHE), this special programme is designed to resemble an apprenticeship training programme on top of the classroom tertiary education experience they receive from KDU Penang University College.KDU Penang University College students will have a chance to receive a quality recognised hospitality management diploma from The American Hotel & Lodging Educational Institute (AHLEI). This comes with a truly unique experience coupled with a fixed allowance throughout their industry attachment. Management programme with a comprehensive industrial training practicum in 2012, where the students apply what they learn in the classroom for 6-10 months in a paid internship programme. A partnership with Hotel Equatorial Penang (five-star rated hotel) ensures students learn on the job in their industrial training programme. In support of the national initiative Economic Transformation Programme (ETP), KDU Penang University College, the cluster leader under The Malaysia Centre for Tourism and Hospitality Education (MyCenTHE), this special programme is designed to resemble an apprenticeship training programme on top of the classroom tertiary education experience they receive from KDU Penang University College. Students will have a chance to receive a quality recognised hospitality management diploma from The American Hotel & Lodging Educational Institute (AHLEI). This comes with a truly unique experience coupled with a fixed allowance throughout their industry attachment. The American Hotel & Lodging Educational Institute (AHLEI). AHLEI is an established institution offering a complete range of hospitality related training, education and learning materials. Students will have the opportunity to obtain a global industry-recognized hospitality management diploma from AHLEI that provides additional credentials, which are imperative for better career prospects.AHLEI is also the global leader in hospitality training and hotel management certifications that are all endorsed, recognised and approved by the American Hotel & Lodging Association and conforms to the best practices in the hotel and lodging industry. With this Diploma in International Hotel Management at KDU University College Utropolis Glenmarie, you will enjoy a solid foundation in hospitality studies before progressing onto a degree course. The syllabus provides you with a good balance between the theoretical and practical aspects of management in the hospitality industry. Your lecturers are from various nationalities and you also benefit from regular interaction with visiting professors in guest lectures and seminars. The modern management techniques in this course will ensure all the right doors are open for you! The Diploma in International Hotel Management programme provides students with a solid foundation in hospitality studies before progressing onto a degree course. With a syllabus that strikes the perfect balance between theoretical and practical aspects of management in the hospitality industry, students benefit from seminars and classes conducted by lecturers from all over the world. Upon completion of the programme, students have the option of obtaining a parchment from IMI University Centre in Switzerland. a well-balanced education.Learning first hand from industry experts and being located within a fully operating hotel, their campus is turned into a “live classroom”. Industry placements, an integral part of their syllabus, are courtesy of our affiliated YTL Hotels & Properties(www.ytlhotels.com). YTL Hotels is the hospitality arm of one of Malaysia’s most dynamic conglomerates, YTL Corporation Berhad. The parent company is considered among the Kuala Lumpur Stock Exchange’s bluest blue chips, with a strong foundation in construction and construction-related industries (at home and abroad) and a growing reputation as a major international player in power generation. YTL Corporation Berhad is also listed on the Tokyo bourse. YTL Hotels does not confine itself to any one particular activity or sector in the hospitality industry. The company is involved in both ownership and management of properties and operations ranging from moderately-priced hotels to luxury trains. Each one of its enterprises in highly-rated in its own right. Management (YTL-ICHM). Yet going beyond the tangible, it is the world of experience gained that you will probably treasure most. Invaluable knowledge that defines your professional future. YTL International College of Hotel Management (YTL-ICHM), offers the best of hospitality and culinary arts studies that will allow you to gain valuable experience in both ‘in-the-classroom’ and ‘in-the-hotel/restaurant’. Their teaching and learning pedagogy gives you the opportunity to learn from different roles in the respective divisions in the hotel and restaurant throughout the program. Towards completion of your studies in YTL-ICHM, you’ll perfect your skills in real-world internship, under the YTL Hotels mentorship of the hoteliers and culinary professionals. Being part of the YTL Group has its advantages as YTL-ICHM provides a job guarantee at any of the YTL Hotels in Malaysia and worldwide depending on the skill level of the graduates. This makes YTL International College of Hotel Management (YTL-ICHM) one of the best colleges in Malaysia to study the Hotel Management diploma with a secure future in the hotel industry. supervisory and managerial knowledge and skills, required for modern management of business industry. It covers a wide range of areas from conventions, events to tourism. Tourism is viewed as a very important and viable industry worldwide. In Malaysia, it is one of the fastest growing and largest revenue earner providing massive business and employment opportunities. Within the field of tourism, is the rapidly booming business of meetings, conventions and events. The state of Sarawak has launched the Sarawak Convention Bureau (SCB) in view of this favourable opportunity. Into its first year of operations, the SCB has already confirmed 24 new meetings for the state – translated into an estimation of 16,000 hotel room nights and RM16.3 million in direct delegate expenditure. Recognising the potential of this vibrant industry and its need of qualified human capital, UCSI University Sarawak Campus introduces the B.A. (HONS.) Events & Tourism Management as a means to guide students into a most successful and rewarding career in Event & Tourism. 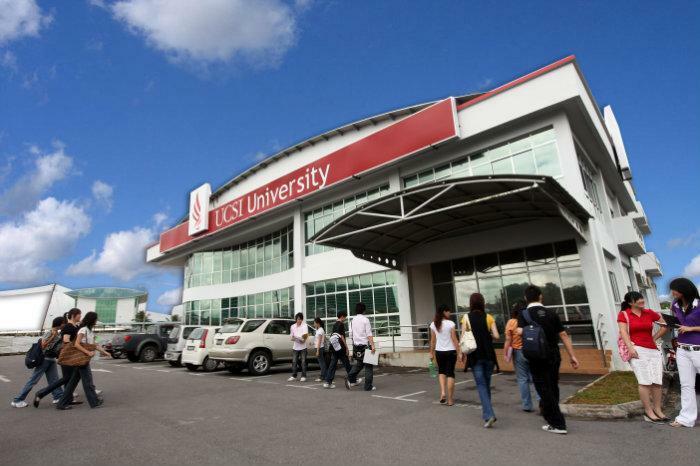 UCSI University Sarawak is the best university in Sarawak for hotel & tourism courses. 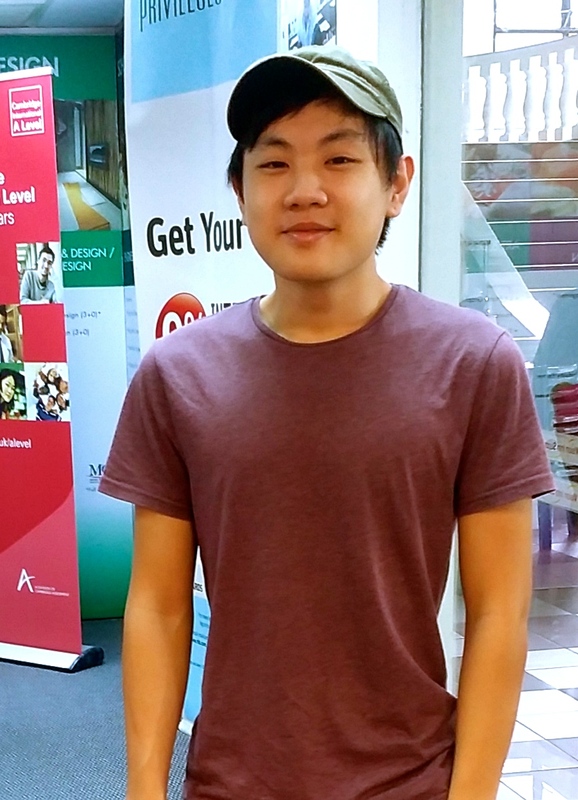 I met EduSpiral online and he provided in-depth information on the courses at UCSI Sarawak. Nilai University hospitality and tourism students are able to intern at hundreds of partner hotels & tour agencies. Established in 1998, the Faculty of Hospitality and Tourism at Nilai University was geared towards the enhancement of hospitality values in their students so that they will, in turn , be instrumental in making a difference in the fast-growing tourism and hospitality industry in Malaysia and Southeast Asia. Approved by the Malaysian Qualifications Agency, this programme equips you with professional skills in hospitality operations while developing your management abilities. You will acquire strong business acumen in managing people, profitability, issues, events, and marketing within the hospitality and tourism industry. Ultimately, this programme gives you the career mobility to dive into a challenging supervisory position within the hospitality and tourism sector or optionally soar in a business specialisation in any industry. The collaboration between Nilai University and the Malaysian Food and Beverage Executives Association (MFBEA) will provide strong networking opportunities as well as exchanging valuable knowledge and information to promote the highest professional standards in the hospitality industry for the benefit of both parties. The Diploma in Hospitality & Tourism Management in First City University College in Malaysia offers a comprehensive curriculum for those who are seeking to develop skills in this field. Upon completion of the affordable diploma in hospitality & tourism management, students will be able to demonstrate an advanced knowledge of kitchen management, food & beverage management and tourism planning & management. Students are entitled for the internship programme where they will have an opportunity for hands-on experience at leading hotels. EduSpiral gave me a lot of information to help me make a wise decision. They helped me with the application & took me around for a campus tour which helped me to make a good decision.